Buddhist meditation takes many forms, but all of them are Bhavana. Bhavana is an ancient discipline. It is based in part of the discipline of the historical Buddha, who lived more than 25 centuries ago and in part on even older forms of yoga. Walpola Rahula's definition ought to distinguish Buddhist meditation from many other practices that get lumped under the English word meditation. 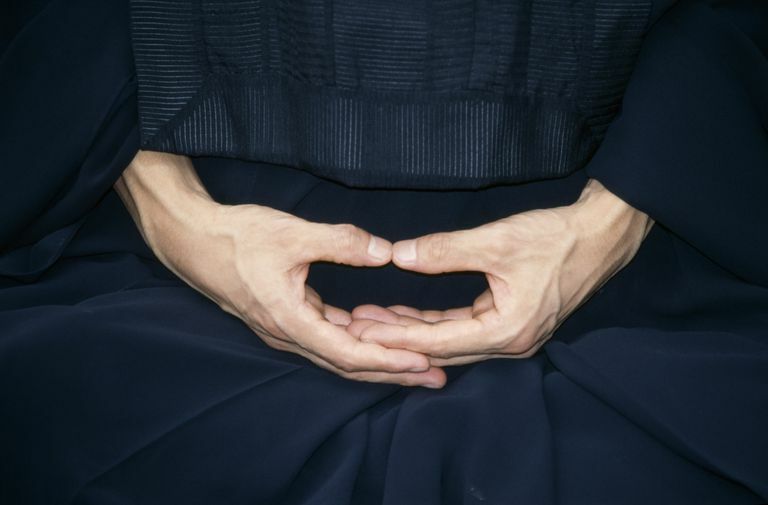 Buddhist meditation is not primarily about reducing stress, although it can do that. Nor is it about "blissing out" or having visions or out-of-body experiences. The Ven. Dr. Rahula wrote that in Theravada Buddhism, there are two forms of meditation. One is the development of mental concentration, called samatha (also spelled shamatha) or samadhi. Samatha is not, he said, a Buddhist practice and Theravada Buddhists do not consider it necessary. The Buddha developed another form of meditation, called vipassana or vipashyana, which means "insight." It is this insight meditation, the Ven. Dr. Rahula wrote in What the Buddha Taught (p. 69), that is the Buddhist mental culture. "It is an analytical method based on mindfulness, awareness, vigilance, observation." Mahayana Buddhism also recognizes the two types of Bhavana, which are shamatha and vipashyana. However, Mahayana considers both to be necessary for the realization of enlightenment. Further, just as Theravada and Mahayana practice Bhavana somewhat differently, so do the various schools of Mahayana practice them somewhat differently. For example, the Tiantai (Tendai in Japan) school of Buddhism calls its bhavana practice by the Chinese name zhiguan (shikan in Japanese). "Zhiguan" is derived from the Chinese translation of "shamatha-vipashyana." Just so, zhiguan includes both shamatha and vipashyana techniques. Of the two commonly practiced forms of zazen (Zen Buddhist Bhavana), koan study often is associated with vipashyana, while shikantaza ("just sitting") appears to be more of a shamatha practice. Zen Buddhists generally aren't given to shoving Bhavana forms into separate conceptual boxes, however, and will tell you that the illumination of vipashyana arises naturally from the stillness of shamatha. The esoteric (Vajrayana) schools of Mahayana, which includes Tibetan Buddhism, think of shamatha practice as a prerequisite for vipashyana. More advanced forms of Vajrayana meditation are a unification of shamatha and vipashyana.